Many of our customers drive the Toyota Prius in an effort to be energy conscious and to save $ at the gas pump. One problem – the Prius does not have abundant cargo capacity. That is where we at Rightline Gear come in with our Sport Jr Car Top Carrier. The Sport Jr has a 9 cu ft capacity and measures 30″ W x 36″L. It is aerodynamically angled at 13″ H in the front and 16″ H in the rear. The carrier fits within the useable space on the rooftop of the Prius (38″ W x 39″ L). The fact that the Prius does not have a roof rack is not a problem. 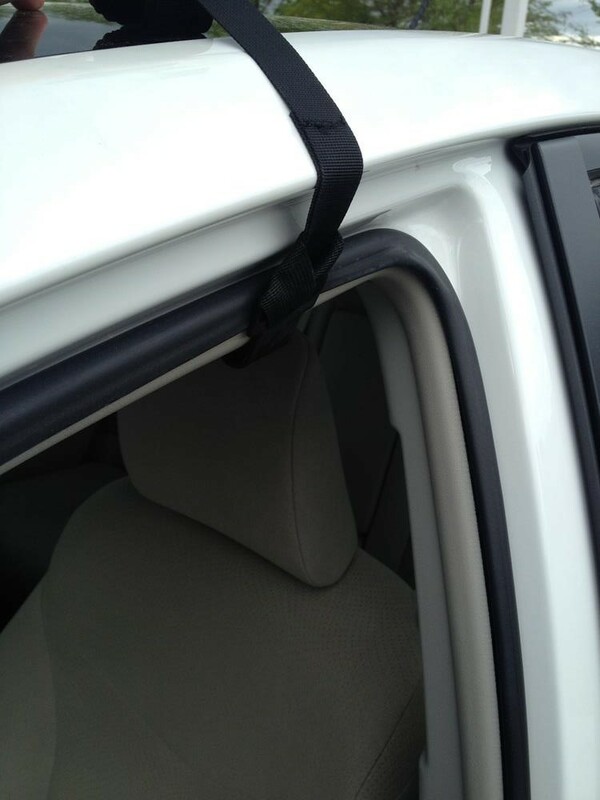 The Car Clips (included with the Sport Jr Carrier) will allow its (2) straps to attach behind the door mounted weather molding. One strap will attach in the front door and one in the rear door. 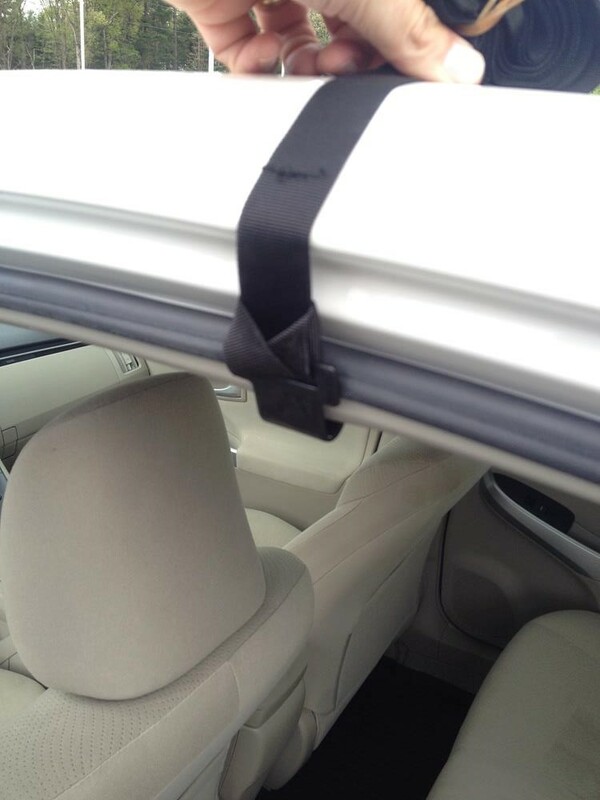 Some customers desire to use our “through the vehicle” method to attach the Sport Jr on the Prius. Unfortunately, the Prius is too wide for the (2) straps that are included with the Sport Jr Carrier to work in this manner. If you desire to attach the Sport Jr Carrier “through the vehicle”, let us know and we will send you (2) additional straps at no cost. Once you have connected (2) of the straps together, their combined length will be sufficient to hold the cargo bag on the Prius “through the vehicle”. *UPDATE: As of early 2015, the (2) standard straps included with the Sport Jr Carrier have been lengthened so that the “through the vehicle” will work without the requirement of additional straps. One final note: If you need a little more cargo capacity, the Sport 1 Car Top Carrier will also fit on the roof of the Prius. The Sport 1 comes with (4) straps so it will be able to mount “through the vehicle” directly. You will need to purchase the Car Clips separately if you would like to attach the Sport 1 to the door mounted weather molding. One final final note: We recommend the use of our Non-Skid Roof Protection Pad when attaching our Roof Top Carriers to vehicles without a roof rack.